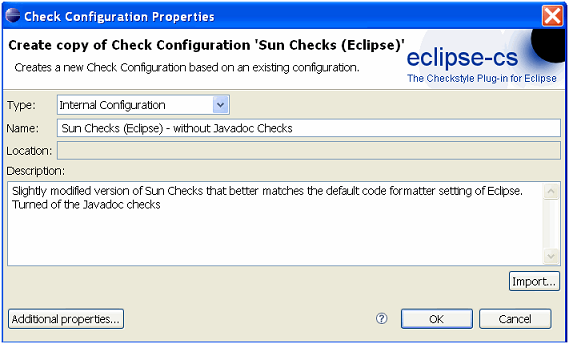 If the IDE that you use is Eclipse, you need to select the Sun Checks which is at Window -> Preferences -> Checkstyle. After selecting the required on, click the “Set as Default”. When you are changing the setting from the standard profile it’s better to make a copy of the existing profile. You can keep a copy of the existing by selecting as shown below. For the new configuration, select configure. You can use this as the default one. When you have a team involved in development it’s better to for same rules for the coding style. 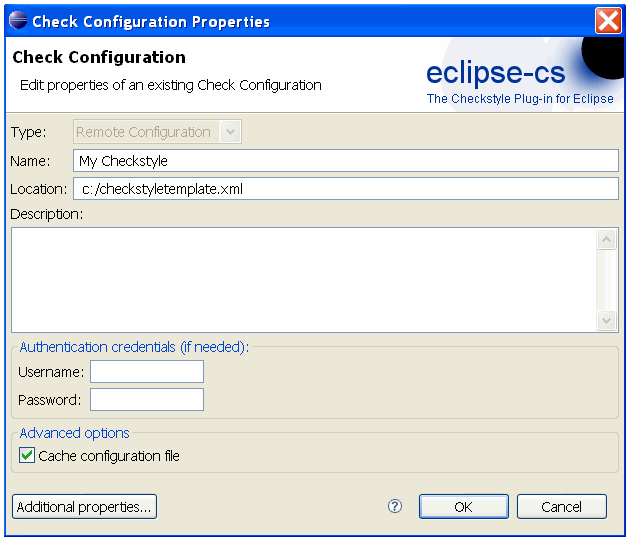 The Eclipse checkstyle plugin caters to this by providing a remote site for the checkstyle settings. Click in the new in the settings and select ‘Remote Configuration’. Provide the ruleset a description and provide the URL that can be used for this settings. You can use this setting as the default one. You can use the new profile created as the default one. 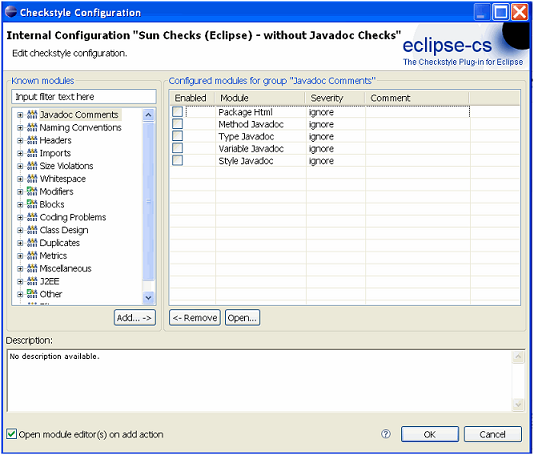 In order to have the Checkstyle active for the project you need to activate the Eclipse Checkstyle Plugin for the project. 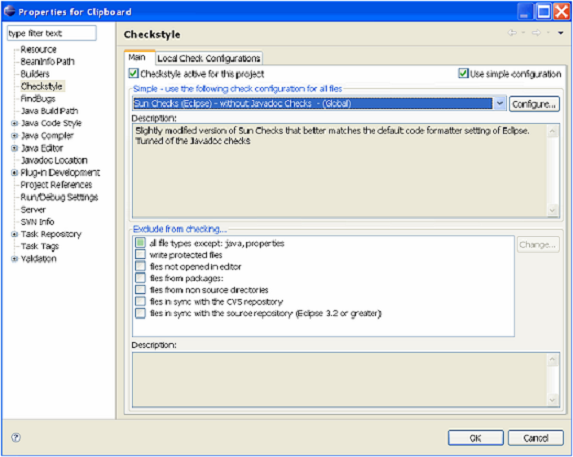 Right click the project and search for Checkstyle. 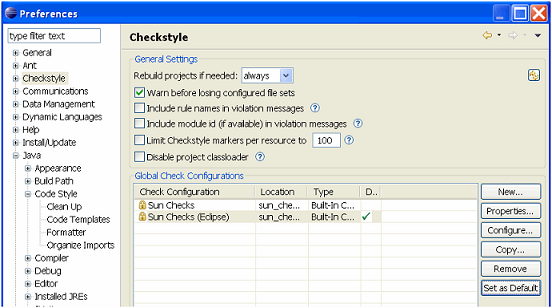 Select the checkbox “Checkstyle active for this project”. 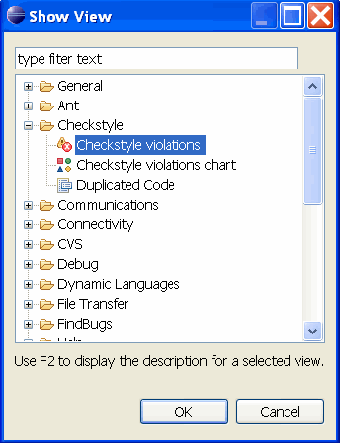 Once this is done the Checkstyle browser view can be used to display the violations.